B.Ed is the correct option who are interested in teaching profession on. Edcet is the entrance test for B.Ed where it is going to be conduct on June 6th in TG state and May 28th in A.P. As, we have known earlier that from next academic year B.Ed course is of 2 years. 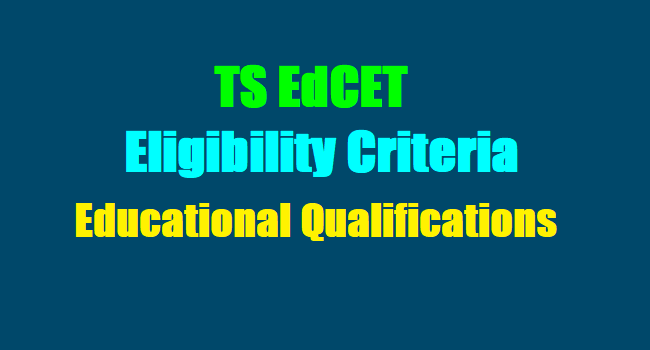 If we observe the applicants for Edcet may reduce as it is 2 years. But for best rank and seat in good college you have to work hard. - Part - A, Part - B, Part - C.
You better prefer concept based learning. Which helps to answer the question asked in any way. If we know formulae & theorems question from inn any angle can be answered. Where application method is high in this process and subjects like Maths, Physics and Chemistry. Common subjects for all students is English & G.K. You better try to stress more on Basic Grammar, parts of speech & reading comprehension be thorough of current affairs. Teaching aptitude this part is very easy for the candidates those who have observation and analysation skills. Social Studies: Every time this subject this subject will have high competition. So, you have to give equal importance to all parts Geography, History, Civics & Economics. Based on contemporary issues changes occurred in Geography, Economics questions are framed So, prepare for that also. Prepare VI - Degree academic books for Methodology questions. For English refer newspapers, grammar books. For English Methodology read famous in English literature along with academic books. Candidates satisfying the following requirements shall be eligible to appear for TSEd.CET-2018. 2. The Candidates should satisfy Local/Non-Local status requirements as laid down in the Telangana Educational Institutions (Regulation of Admission) Order 1974 as subsequently amended. 1. Candidates should have passed/appearing for final year examinations of B.A./B.Sc./B.Sc. (Home Science) /B.Com./ B.E/B.Tech/B.C.A./B.B.M. at the time of submitting the Application for TSEd.CET-2018. Candidates should be required to produce marks memo and pass certificate at the time of admission. 2. Candidates should have secured a minimum of 50% marks either in the Bachelors Degree i.e. B.A./B.Sc./B.Sc. (Home Science)/B.Com./B.C.A./B.B.M and or in the Masters Degree in relevant subject or 5years integrated course in the relevant subject of methodology or any other qualification equivalent thereto. Candidates should have secured a minimum of 55 % marks in B.E/B.Tech with Science/Mathematics as one of the subject or any other qualification equivalent there to, are eligible for admission to the programme However the candidates belonging to all other reserved categories i.e. S.C., S.T., B.C. (A/B/C/D/E), and Physically handicapped should have secured a minimum of 40% marks in the qualifying examination. 3. As per the GOMS No: 92, the candidates who passed M.B.B.S/ B.D.S/ B.A.M.S./ B.L/ L.L.B/ B.A. (Languages)/B.O.L etc. and other such professional courses are not eligible for admission into B.Ed course. #Age Limit: The candidates should have completed the age of 19 years on 1st July of the year in which notification is issued. There shall be no maximum age limit. Candidate with B.A./B.Sc. /B.E/B.Tech. with mathematics as one of the subjects or B.C.A candidates with Mathematics at intermediate level as a group subject. Candidates with B.Sc /B.E/B.Tech who have studied Physics and Chemistry or Allied Material Sciences as one of the subjects or BCA candidates with Physical Sciences (Physics and Chemistry) atinter mediate level as group subject. Those who are in final year of corresponding courses are also eligible.